I know, you’ve been worrying about what to get me for Christmas, and with just a few days left until the blessed event, the stress is becoming unbearable. Relax – I’m here to help. I am one of the millions of people who love the edges of brownies. I’d much rather have a piece from the edge of the pan than the center – corner pieces are obviously the best. Of course, there are only four corner pieces in the standard 8″ by 8″ pan, which simply cannot satisfy my insatiable appetite. 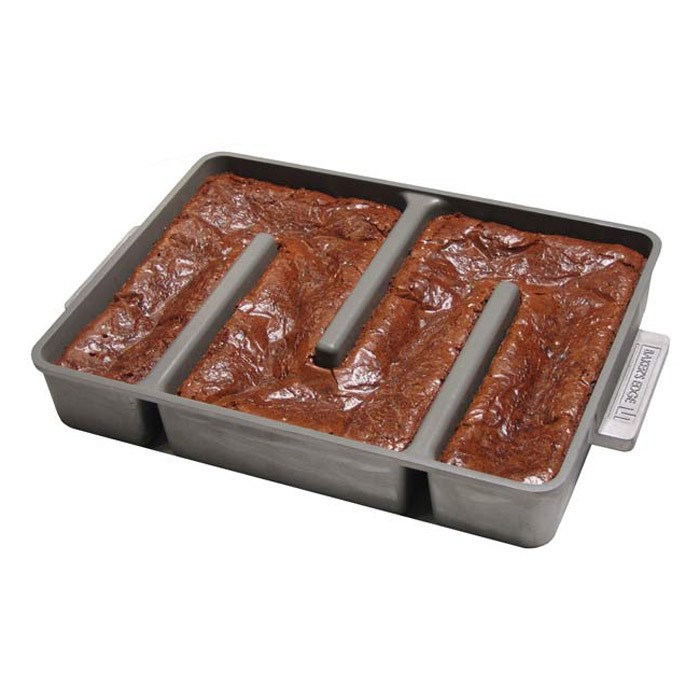 Fortunately, some brilliant people have invented the ultimate brownie pan. I give you… the Baker’s Edge Brownie Pan. By my count, that’s 10 corner pieces, plus every other piece has at least one crunchy, chocolatey edge. This is nothing short of miraculous, and I would gladly welcome one into my home. Wait – there’s more. 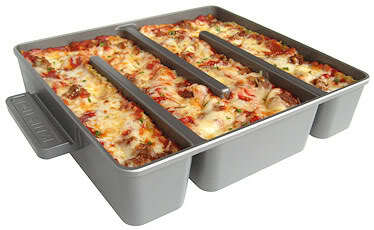 If you like lasagna, but you do your best to avoid the soggy pieces in the middle, then you need the Baker’s Edge Simple Lasagna pan. Enjoy, edge lovers.